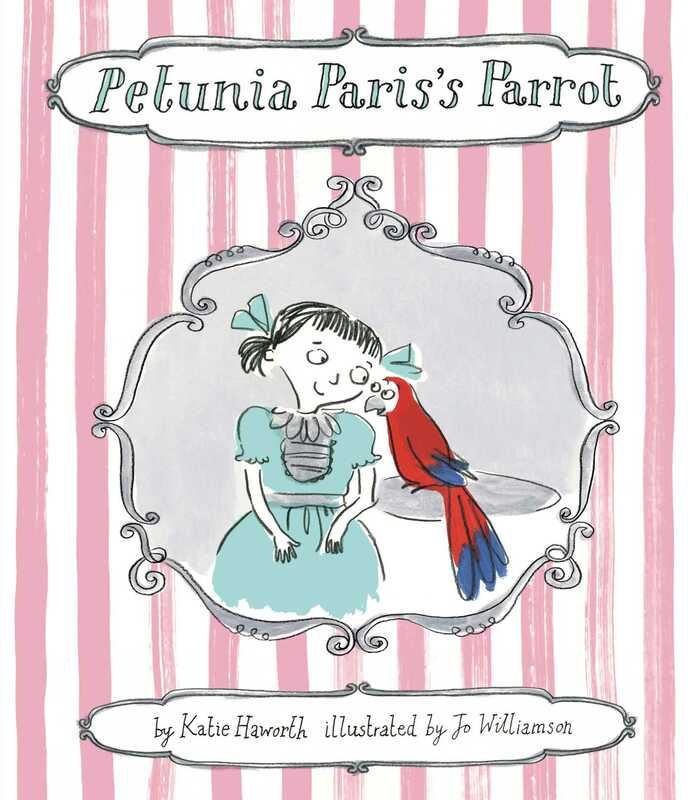 Petunia Paris has a prett big problem-she can't get her Peruvian pet parrot to speak to her in this fun new picture book from illustrator Jo Williamson! Petunia Paris has everything she could possibly want, from a swimming pool to a bicycle with its very own chauffeur. When she requests a parrot for her fifth birthday, a parrot is what she gets-a scarlet macaw all the way from Peru! The problem is, Petunia Paris's parrot does not do what Petunia Paris wants it to do . . . speak! All it does is squawk. She tries plying him with exotic food, presenting pertinent topics of conversation, playing the piano, and planning preposterous new outfits for him, but nothing works. Paris gets upset, until her butler suggests she ask him nicely why he won't speak to her, and he responds that he doesn't want anything that she's giving him-he just wants to go home. She then takes her parrot back to Peru, and her parrot does not stop talking the whole way there. The story ends happily with a gatefold showing Petunia Paris's parrot flying away in Peru.